Next week sees the start of Lent when Christians across the world prepare themselves spiritually for Easter. With this in mind, Cross at Yew Lane will be hosting a prayer labyrinth throughout Holy Week (1st – 8th April. A labyrinth is an opportunity to contemplate the deeper things of life on your spiritual journey. This Holy Week the labyrinth will enable you to reflect on Jesus’s journey to the cross and beyond. The focus will change each day, so you can walk the path every day if you wish or just visit once or twice. Help will be available so that you can make the most of your experience. The path has three stages. The ‘inward’ journey is about letting go of things which hinder your inner approach to God. 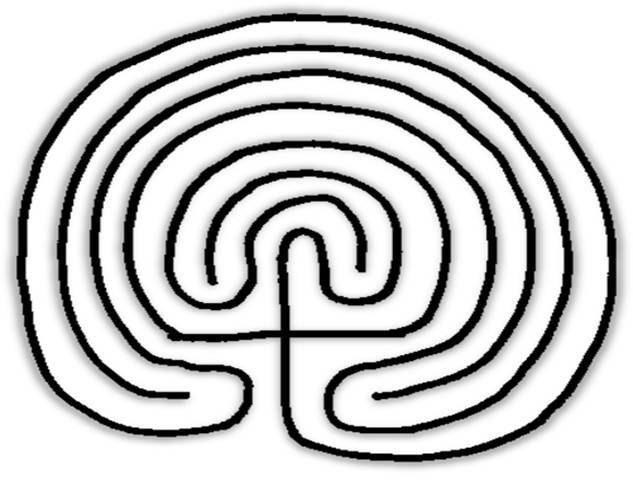 The centre of the Labyrinth is a space of meditative prayer and peace. The ‘outward’ journey is about your direction in life in the light of your relationship with God. The Labyrinth will be open at various times during the week, here is the timetable of sessions. 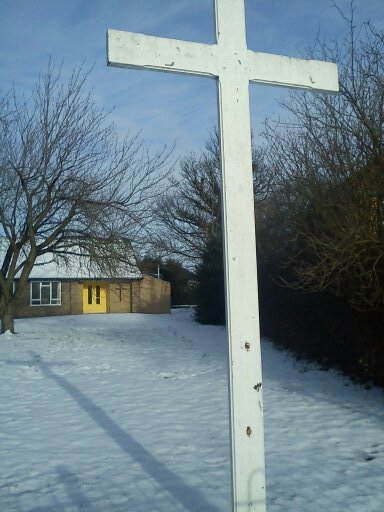 Just thought you might like this photo of the Cross at Yew Lane in all the February snow we’ve been having this weekend. Don’t forget we’ve got the Quiet afternoon this week on Thursday 9th. From 23rd February we’ll be starting with a new regular weekly quiet space at The Cross at Yew Lane. The building and gardens will be open from 10am until 3pm every Thursday and will offer a quiet space for anyone who wants to use it for; prayer, relaxation, reading, studying or even a quick nap! Each session will be hosted by someone from the team at Yew Lane, and it will also be possible to book times to meet with someone from the new Listening Service based in Parson Cross with PXI. At 12.30pm there’ll be chance to enjoy some more hospitality and share some soup and bread with each and enjoy some shared time together. Keep watching for more information. Eight people attended the Healing and Wholeness- Quiet Afternoon this week, in particular the session explored the theme of “Loving yourself and others”. The session took at look at Jesus’s Great Commandment: “You shall love the Lord your God with all your heart, with all your soul and with all your mind … and your neighbour as yourself.” The last bit of that commandment proved interesting – “your neighbour as yourself”. We’ll be continuing with the Healing & Wholeness theme at the Quiet Day on January 14th and it will be reflected in the Service of Prayer for Healing on Nov 16th, do feel free to join us. 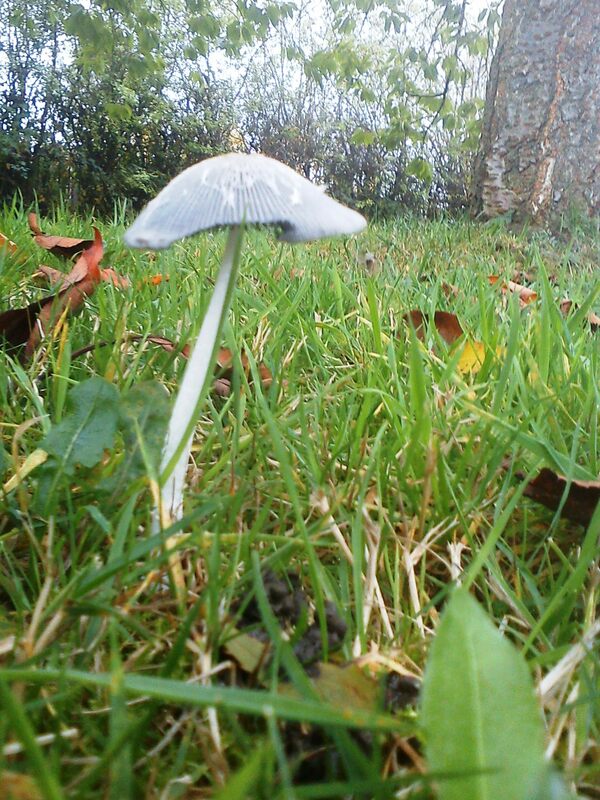 Well Autumn is now in full swing and in fact there’s starting to be a real feel of winter on some days…. the nights are getting darker, the wind is getting colder, and next week (30th October) the clocks go back – so don’t forget! . The 31st October in the celtic & pagan calenders marks the first day of winter and the start of the celtic new year – nowadays of course its got far more linked to the highly commercialised season of Halloween and “Trick or Treats” – the new ASDA in Parson Cross has shelves stacked with costumes and decorations, as well as sweets and treats for children who will no doubt use the night as an excuse the eat more chocolates and sweets than are good for them! The 31st October also sees another Quiet Afternoon at Yew Lane, led by Judith, the theme will be “Healing and Wholeness”. In the Christian calender we are only weeks away from the start of the season of Advent when we look forward and prepare to celebrate the birth of Jesus. This year we’ll be holding a special advent series of prayers and reflection – so please take a look at the diary page and come along to as many, or as few, as you you want.